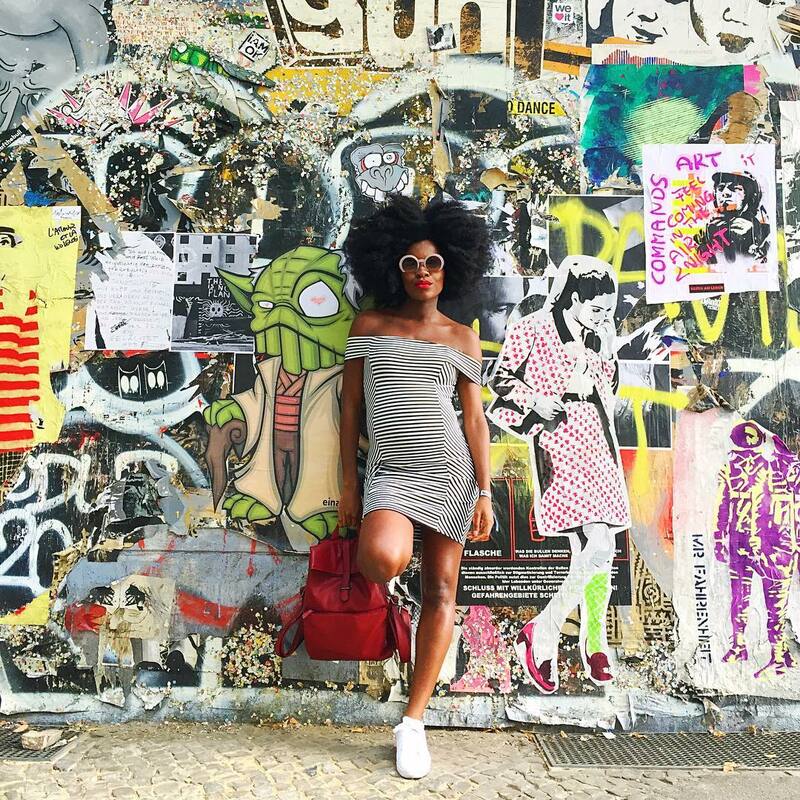 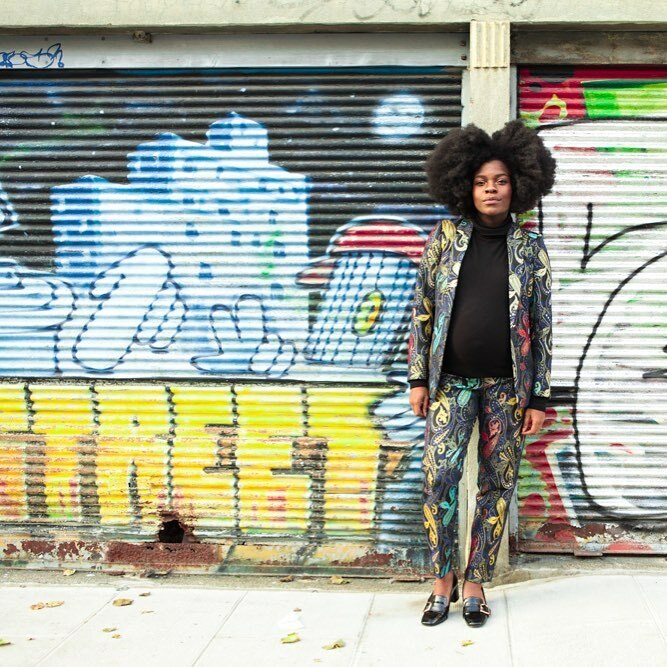 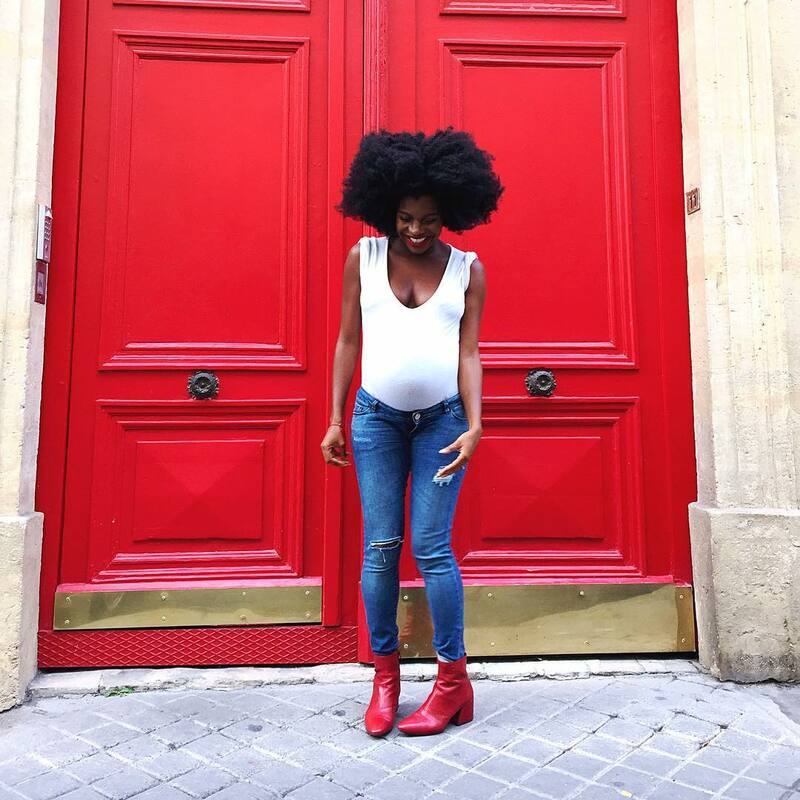 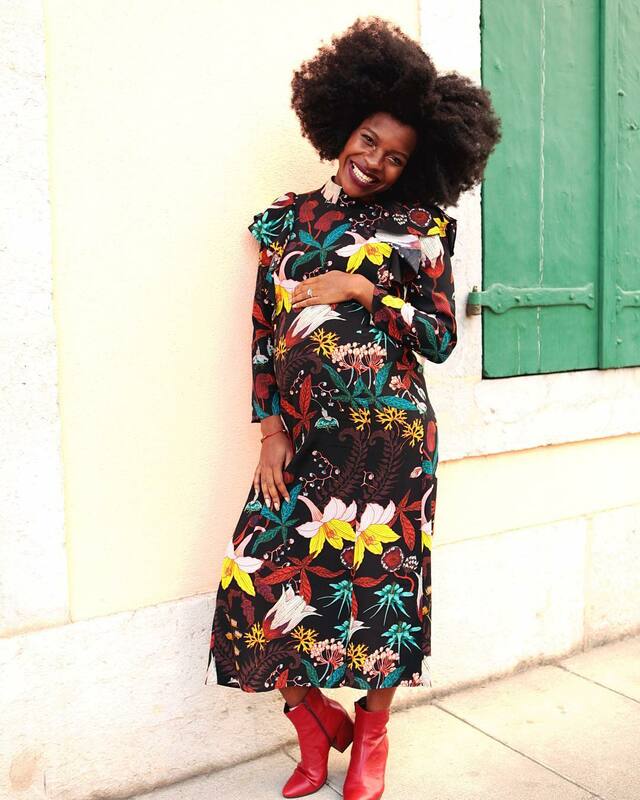 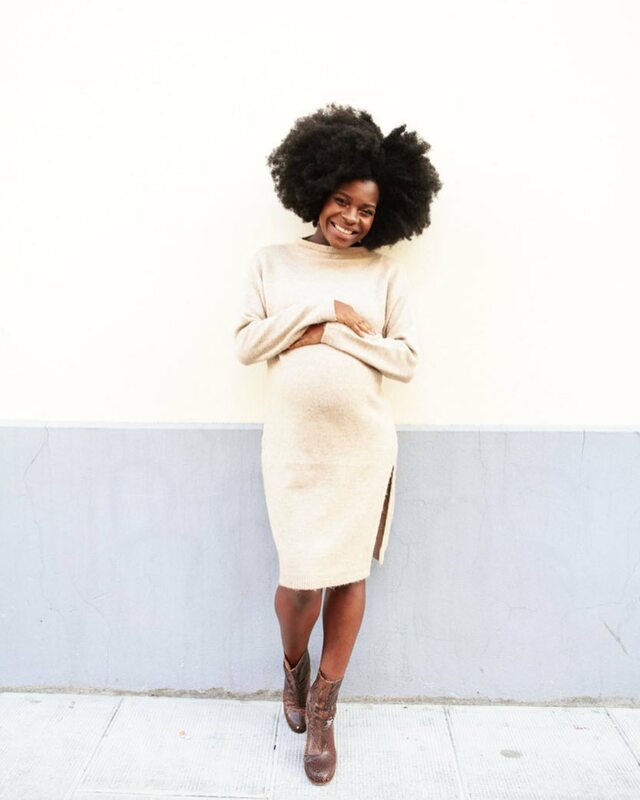 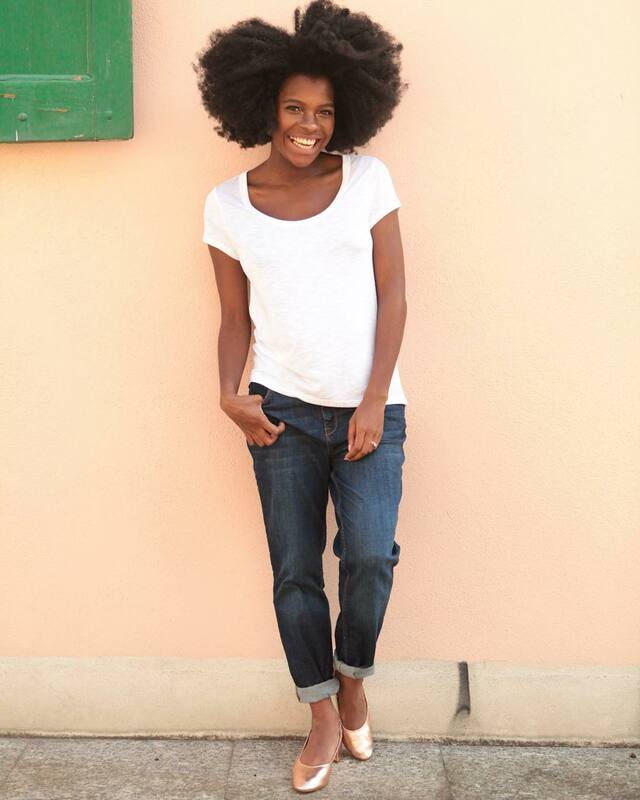 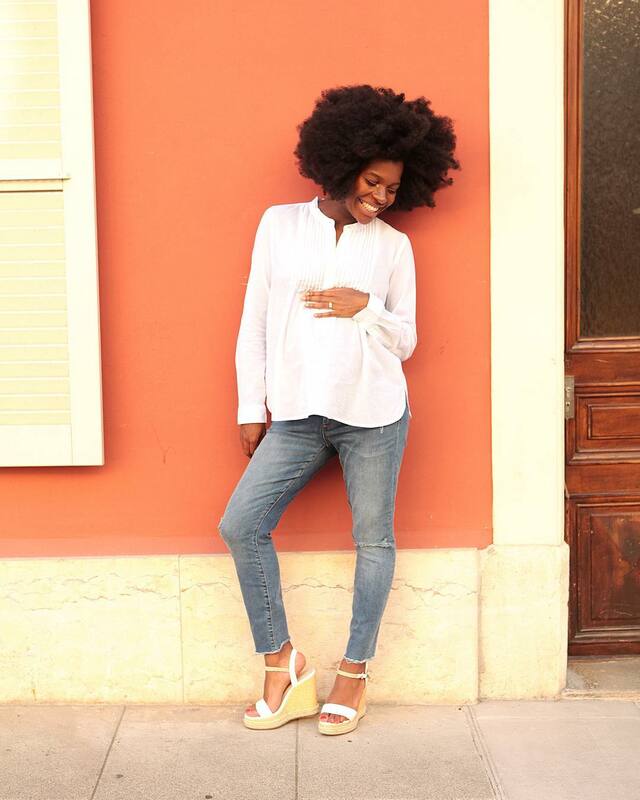 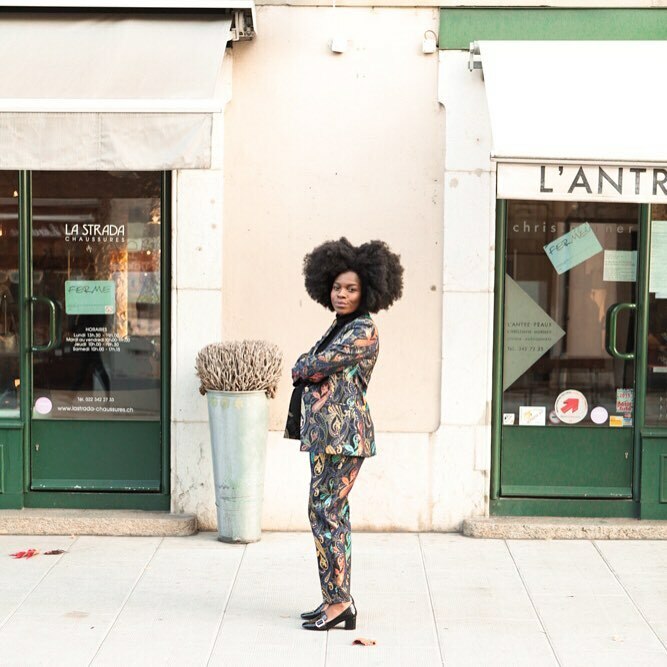 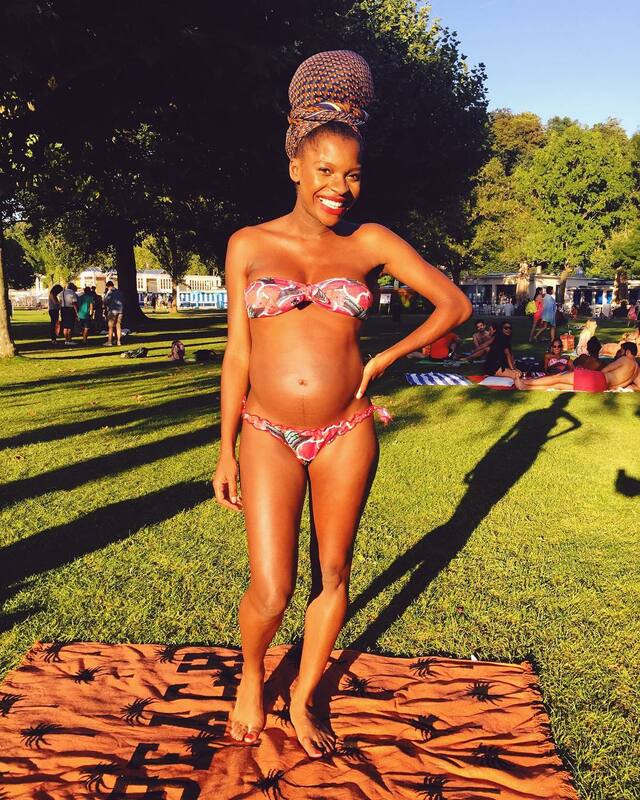 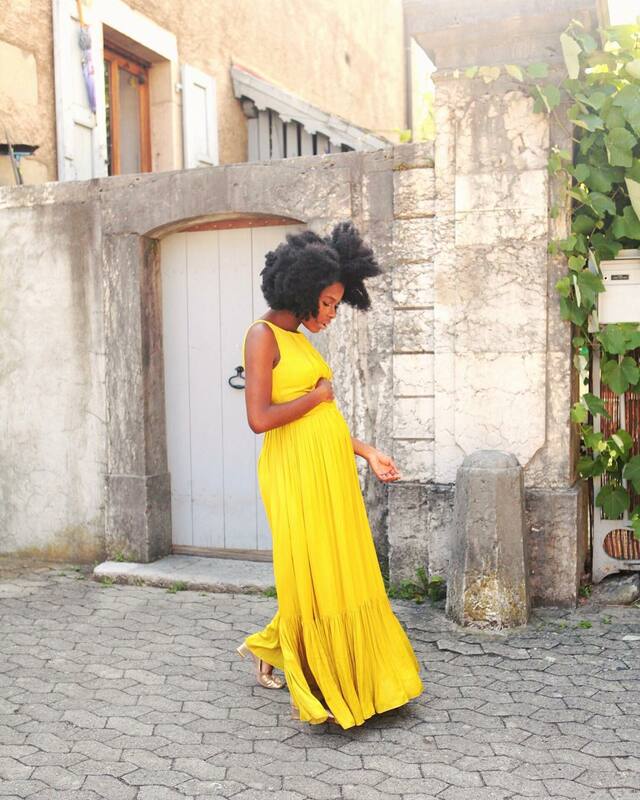 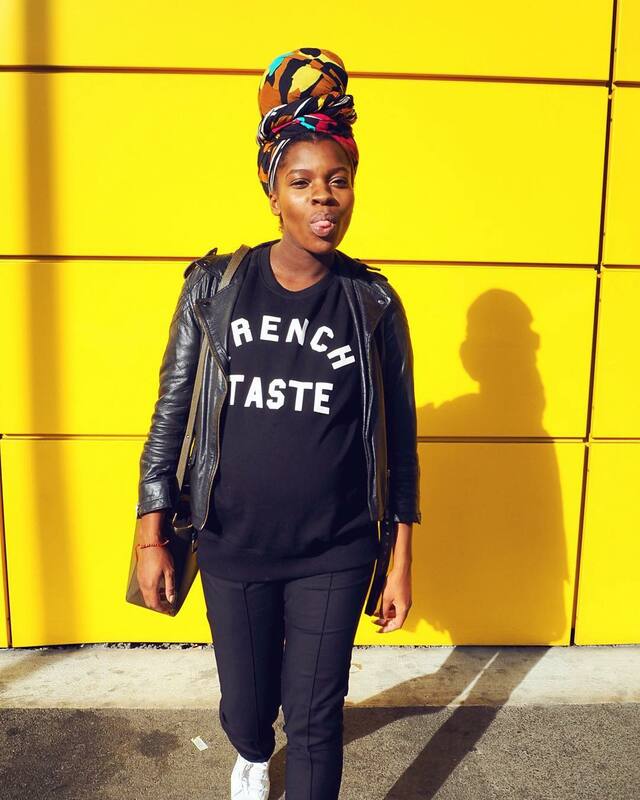 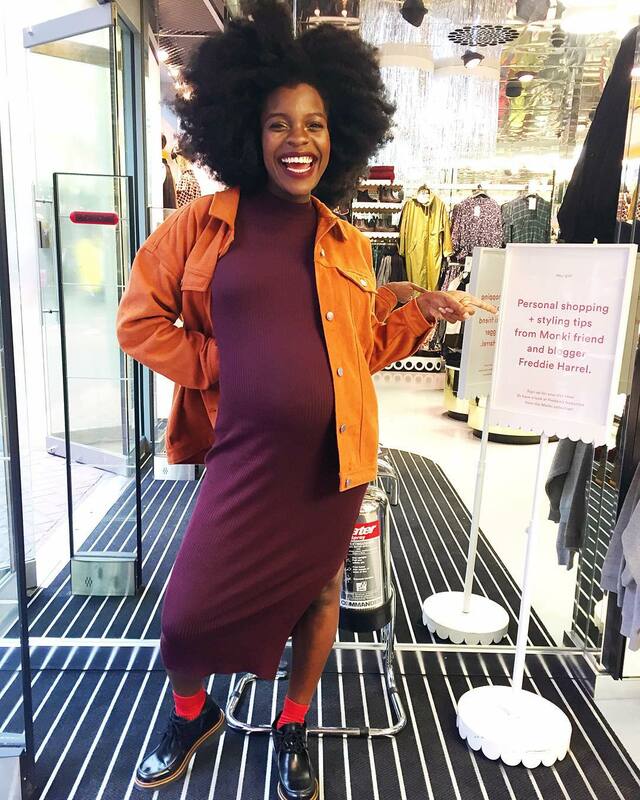 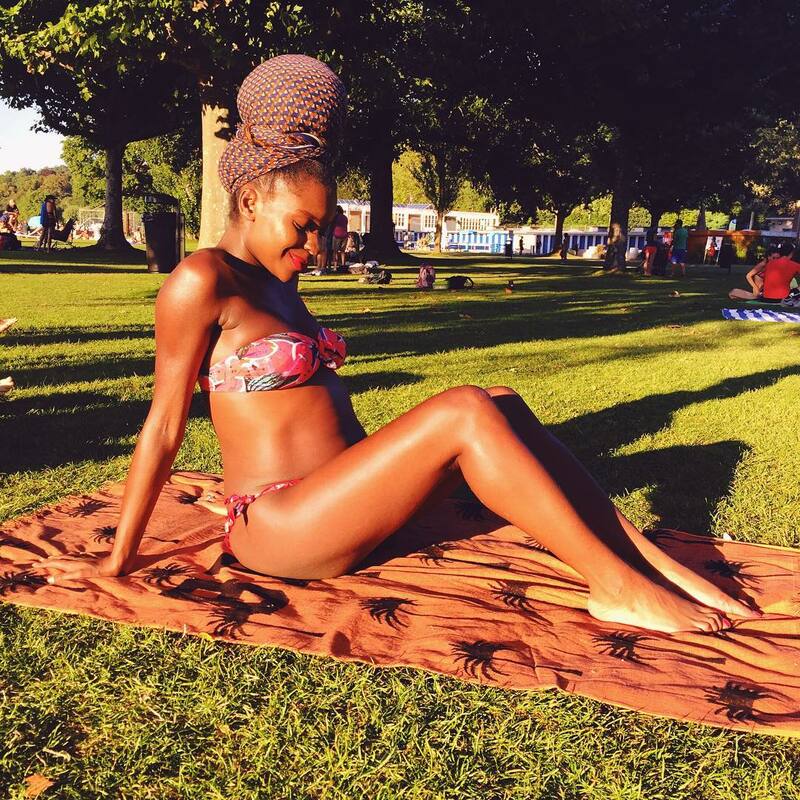 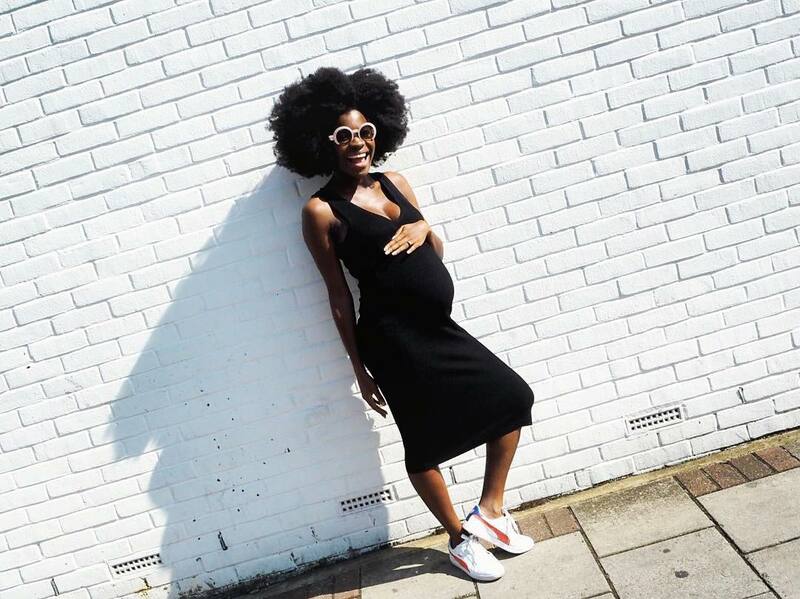 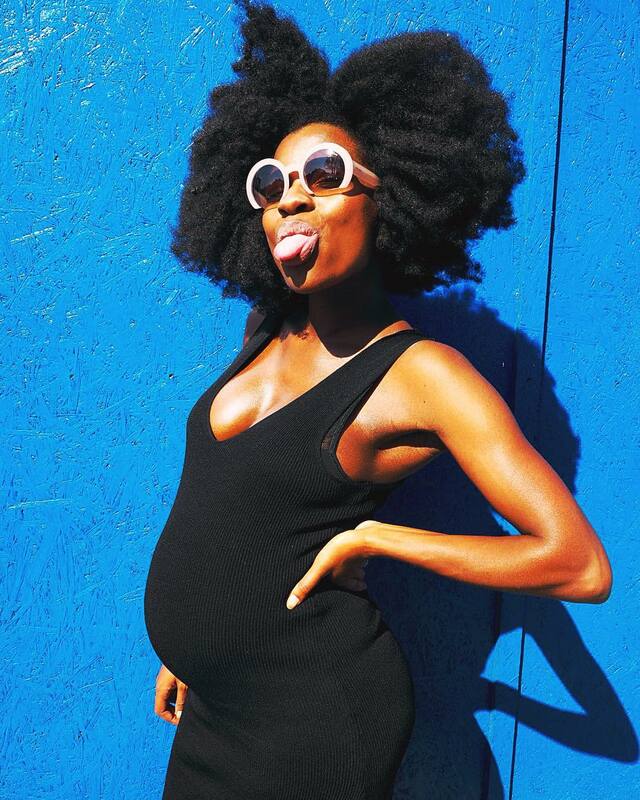 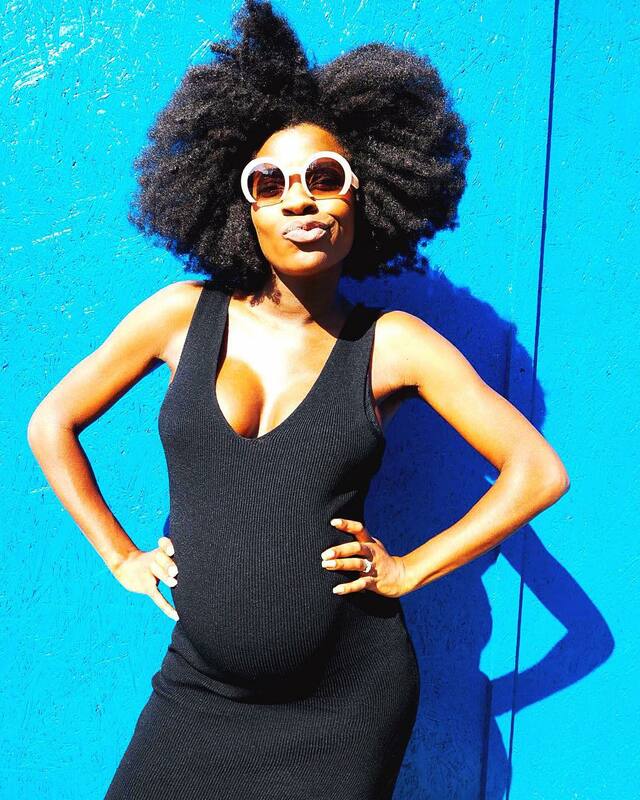 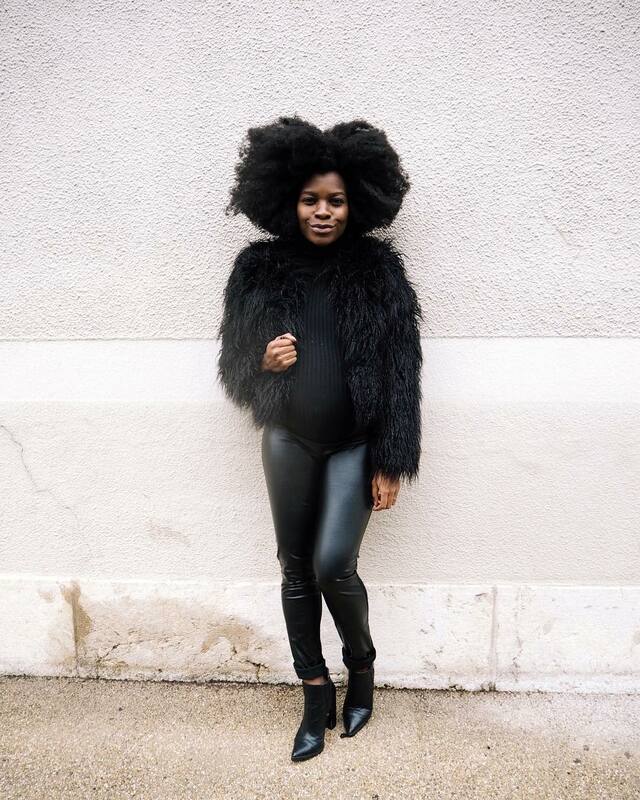 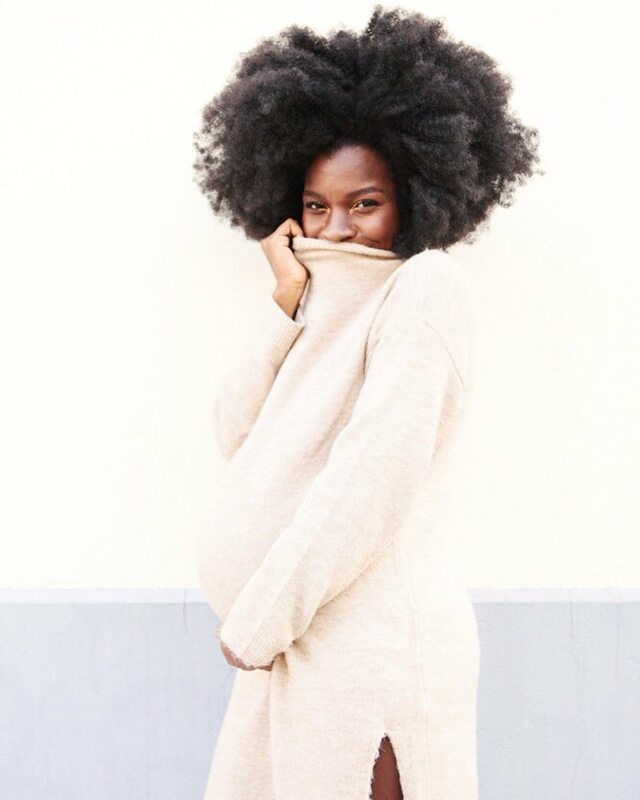 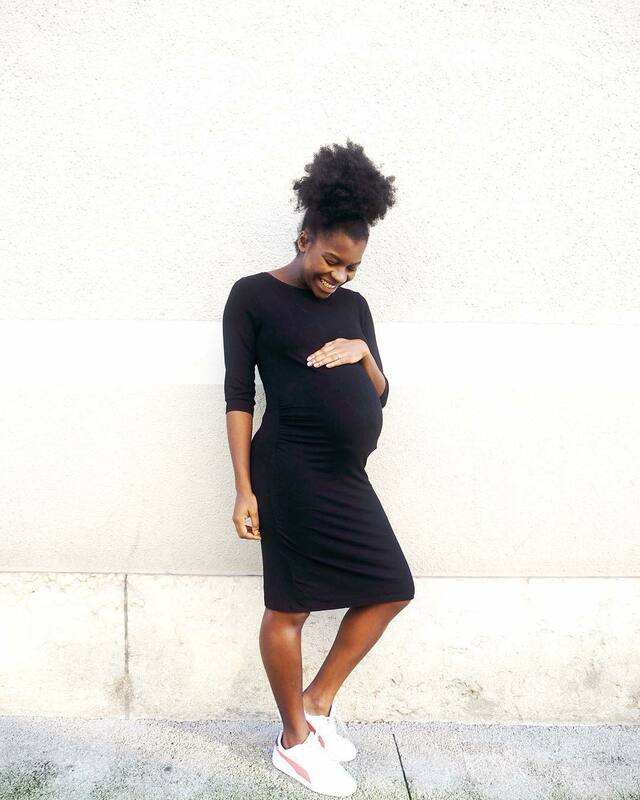 Freddie Harrel is One Super Stylish Mum! 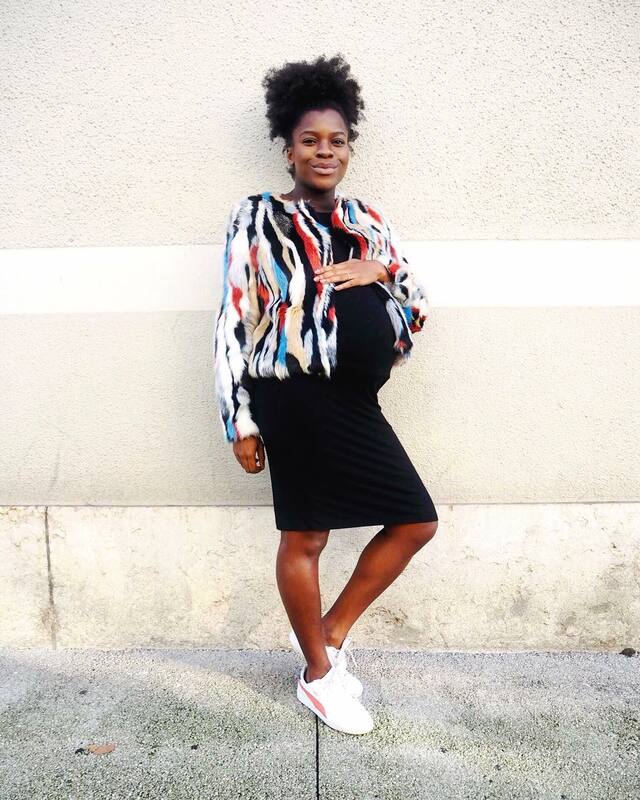 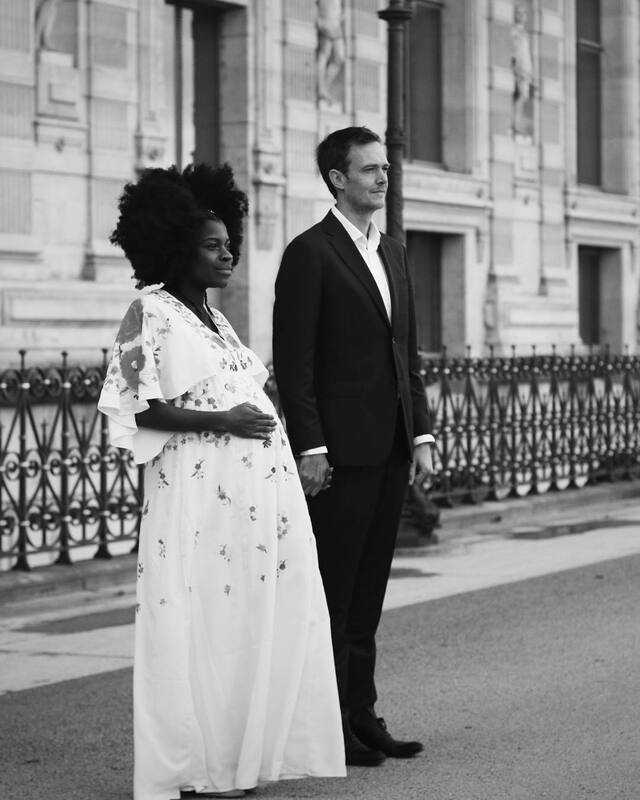 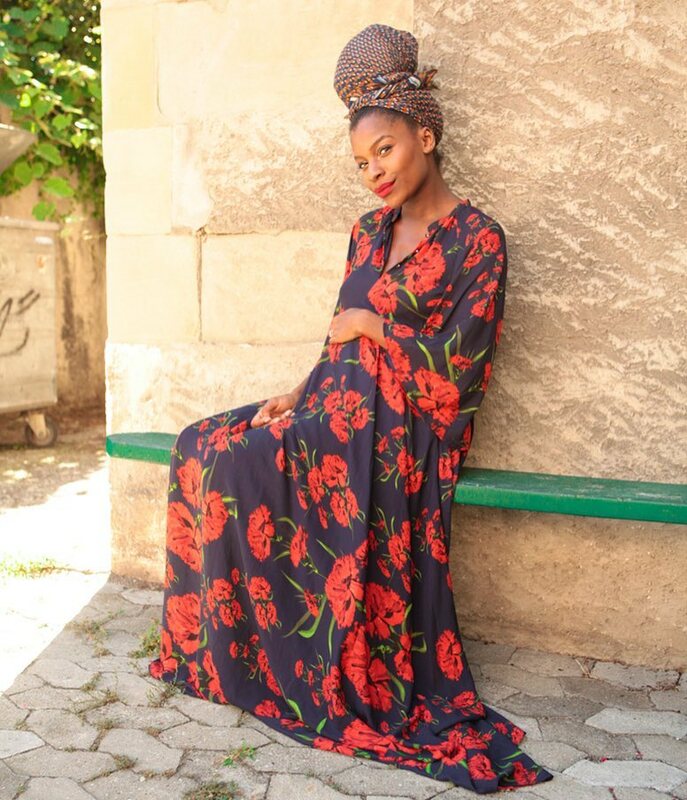 BN Style Your Bump is a BellaNaija Style classic and today’s column feature is all about Frédérique Harrel, a Parisian-born stylist, and blogger. 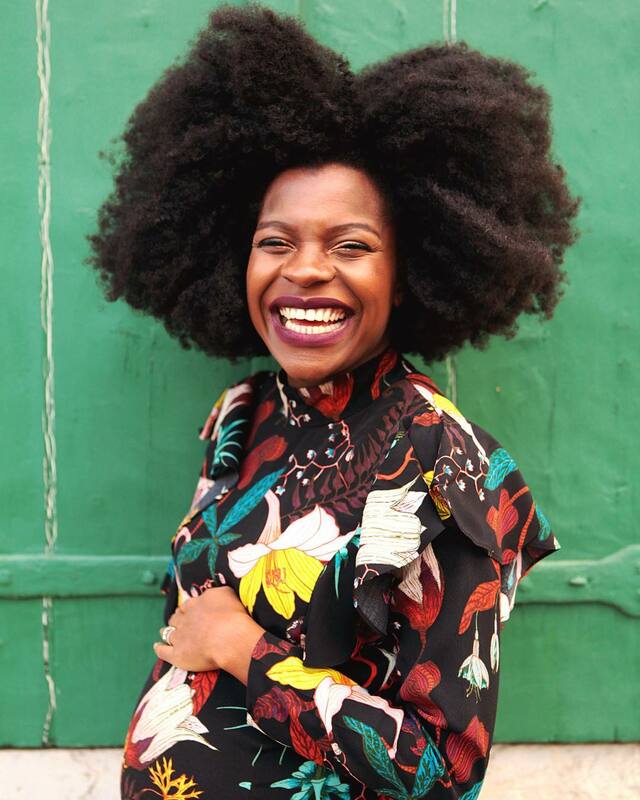 Freddie as she is popularly known, is also a fashion marketing expert, the confidence coach behind SHE Unleashed and a beauty entrepreneur with her own line of hair extensions called Big Hair No Care. 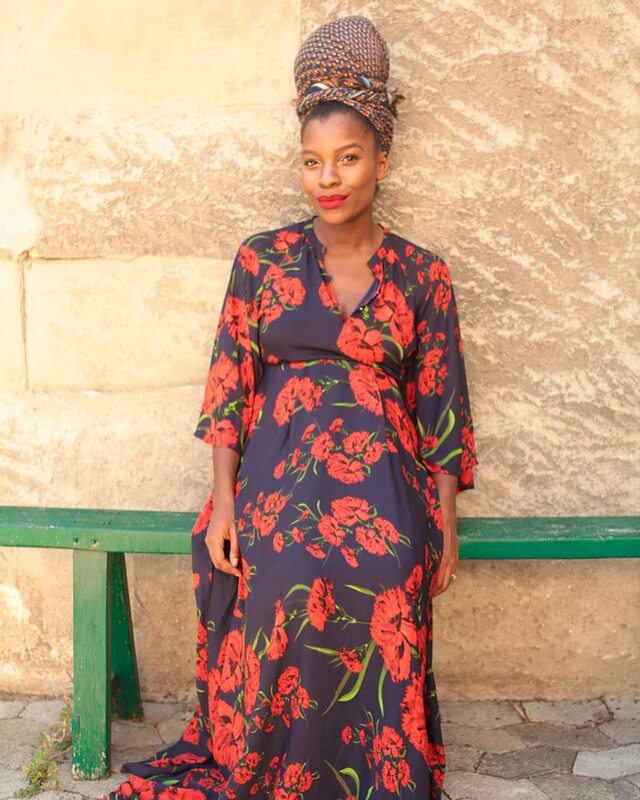 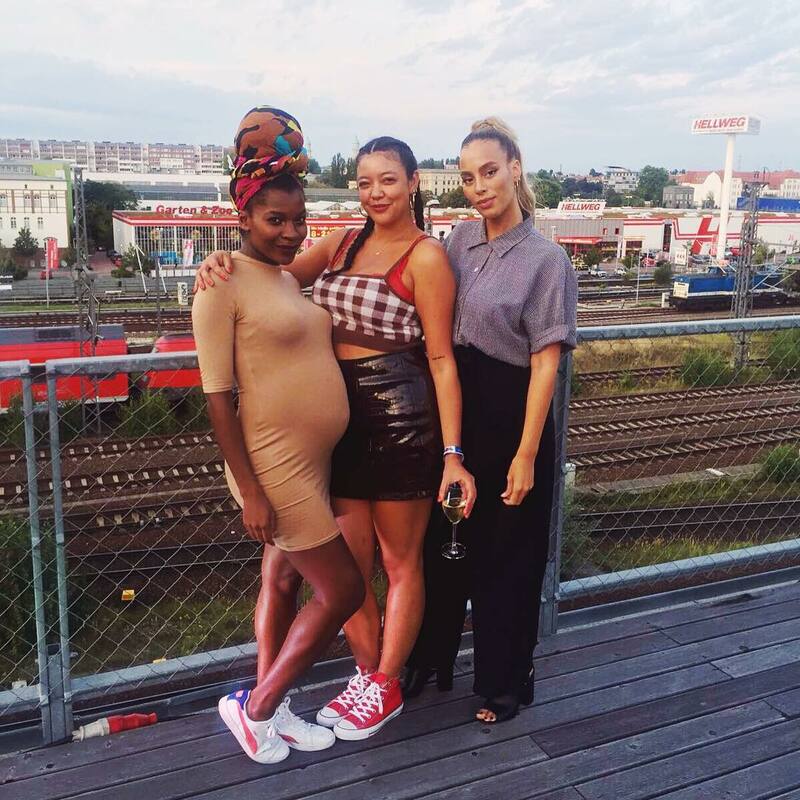 She’s a mother to a cute little boy named Hugo and while he was a bun in her oven, Freddie’s style rocked our boats with her bodycon dresses, jacket, headwraps and other stylish looks. 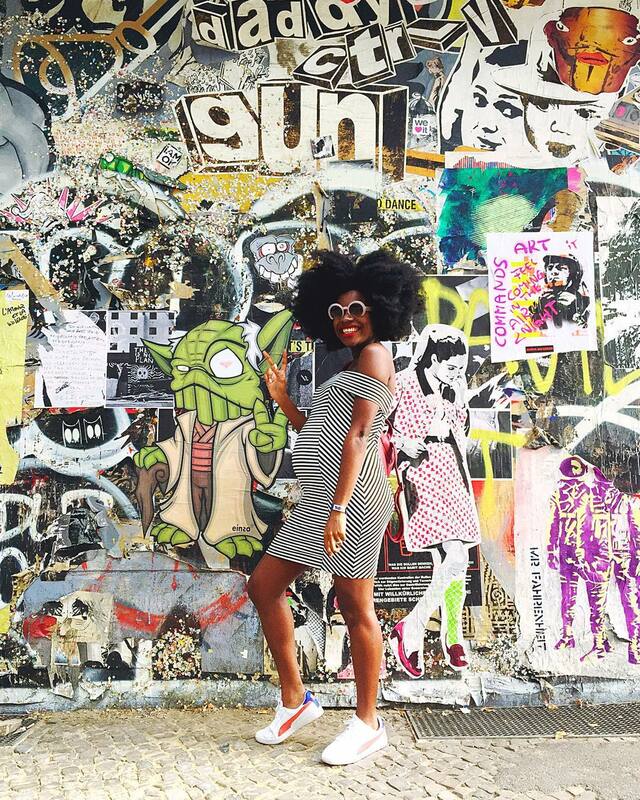 Be bold and rock a bodycon dress and fault your bump. 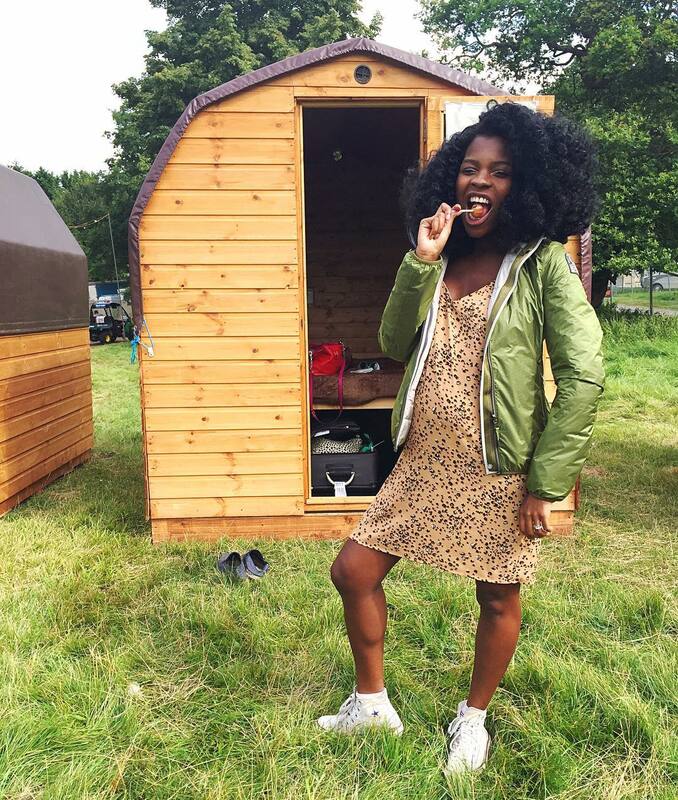 If that’s not your style, try an A-line dress in a fab print or throw an oversized jacket over your bodycon dress like Freddie in her houndstooth jacket and black bodycon dress below. 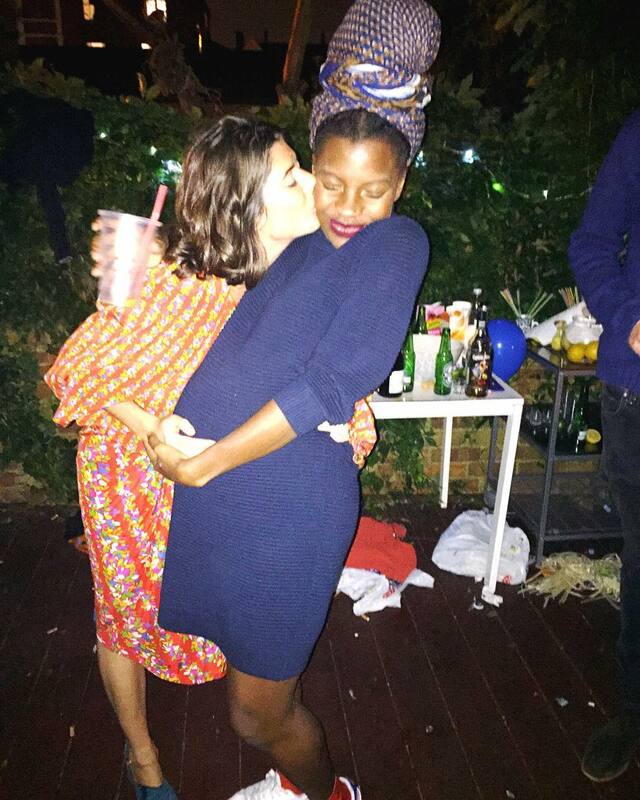 We totally love Freddie’s dress down/casual look. 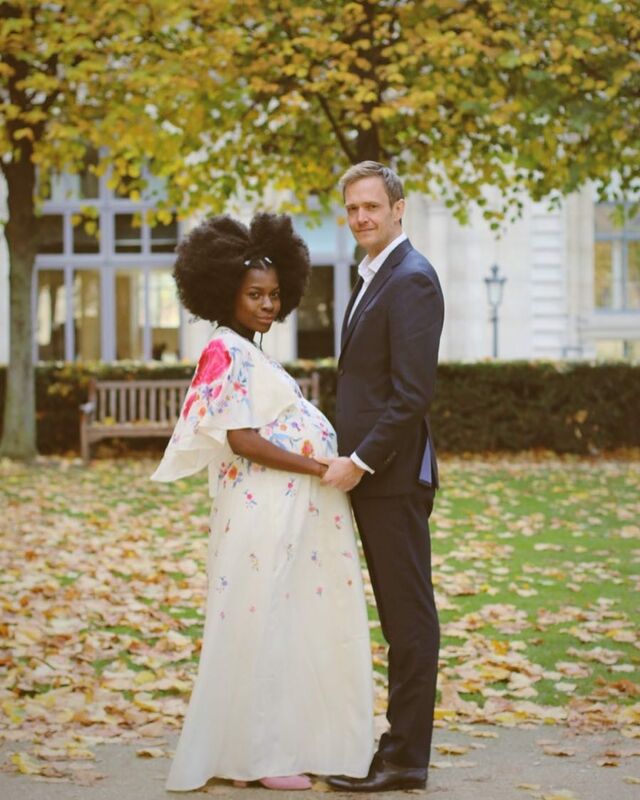 If you’re not in the dress mood, try a suit in a statement colour or in print like this paisley one Freddie has on. 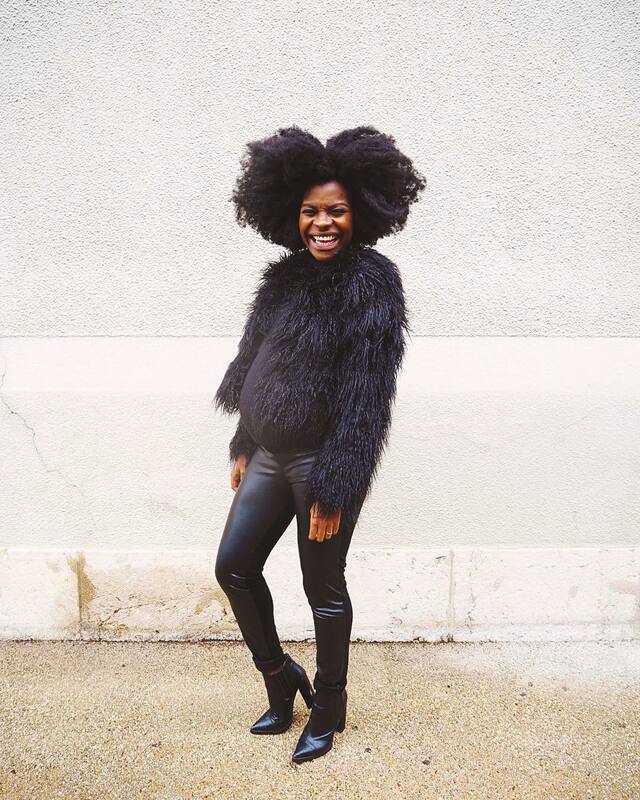 It’s certainly one of our favourite looks. 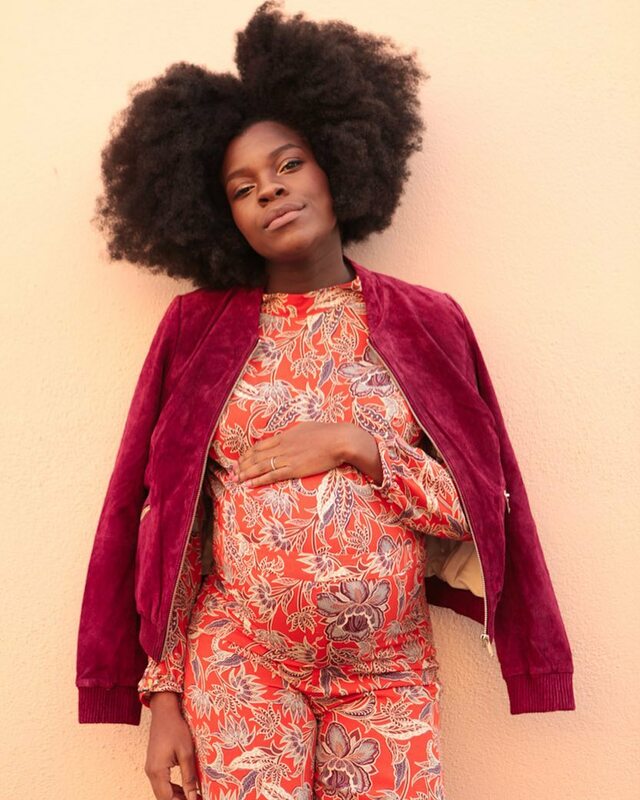 A jumpsuit could also be a great choice (with the right fit), the maternity section in some stores have a wide range of chic looks made specially to fit your baby bump. 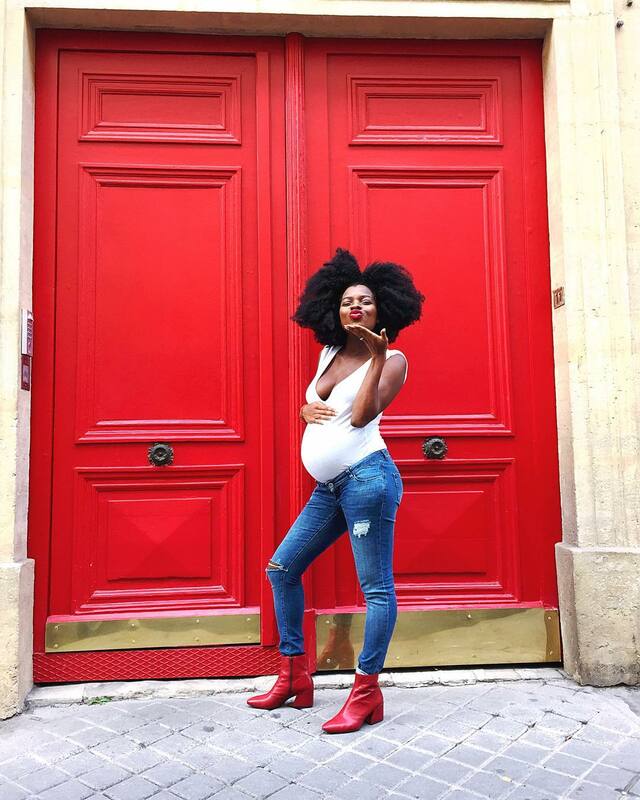 Just like this denim dungaree Freddie has on. 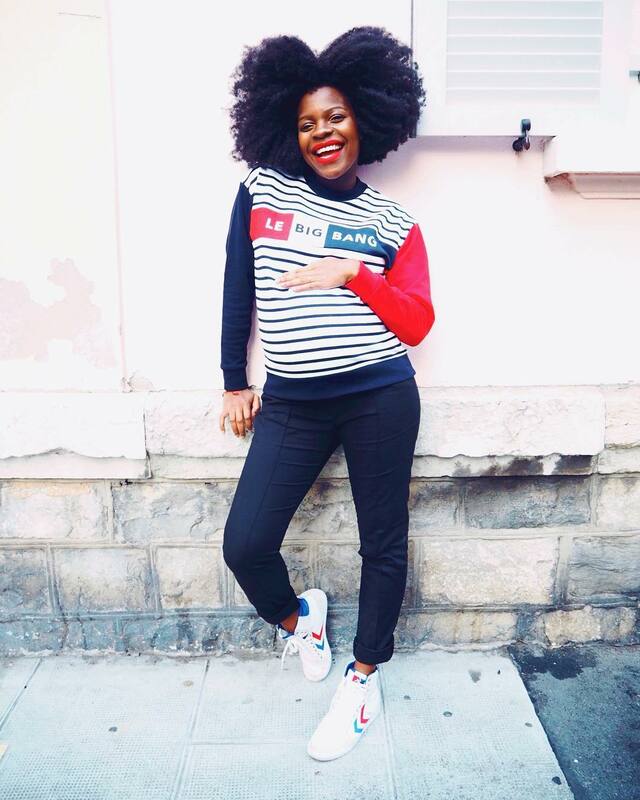 The ultimate chill look has to be a graphic Tee with jeans or a skirt and Freddie nailed this look. 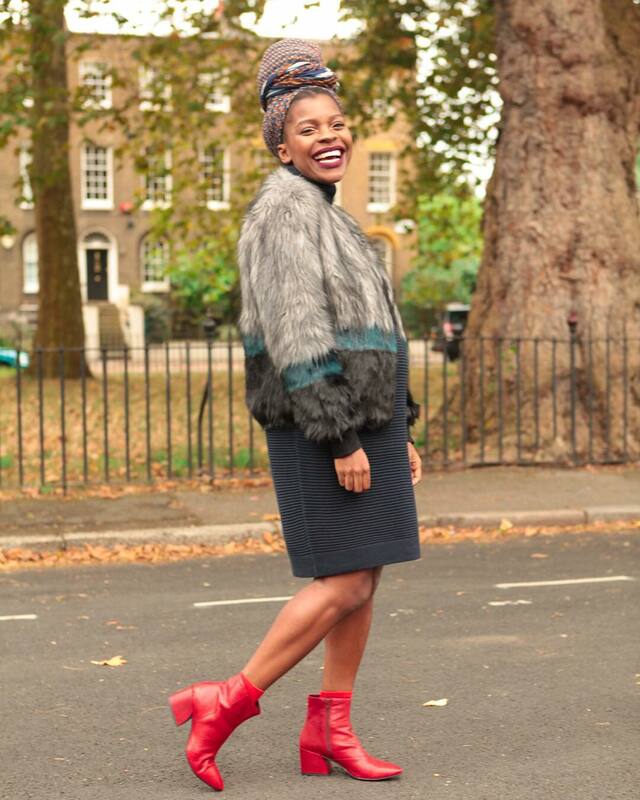 For shoes, we noticed she’s a creature of comfort, sneakers, sandals, platforms or block heels… no stilettos here! 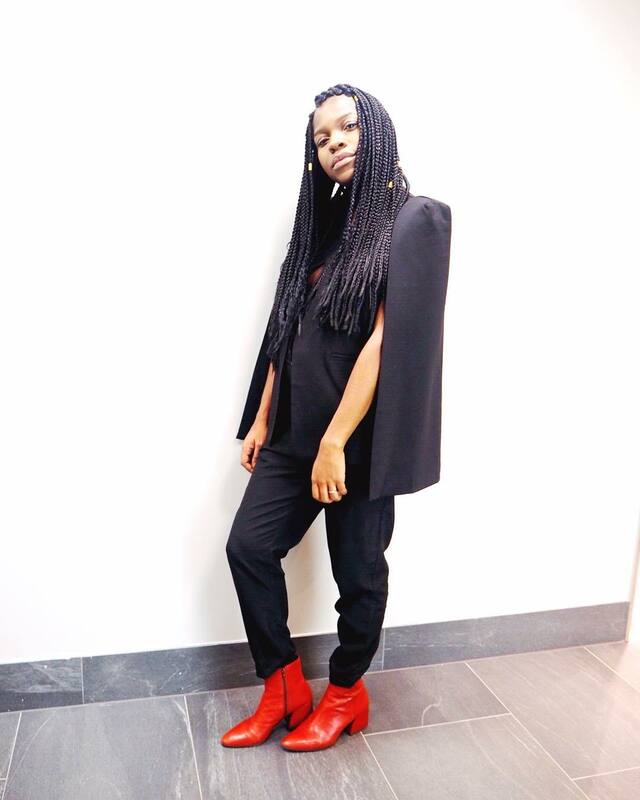 See more of her stylish looks in the gallery below.